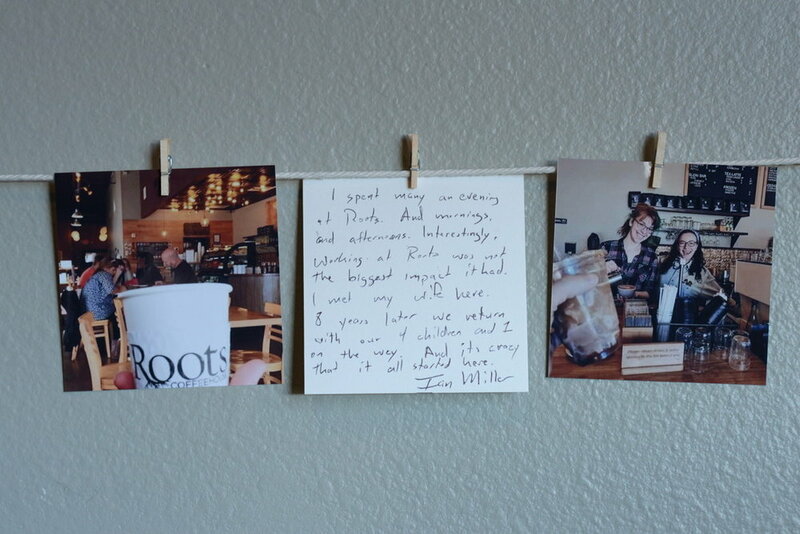 It’s hard to believe that it’s been ten years since Roots Coffeehouse first opened its doors with the vision to bring ethically sourced, craft coffee to the community of North Richland Hills. 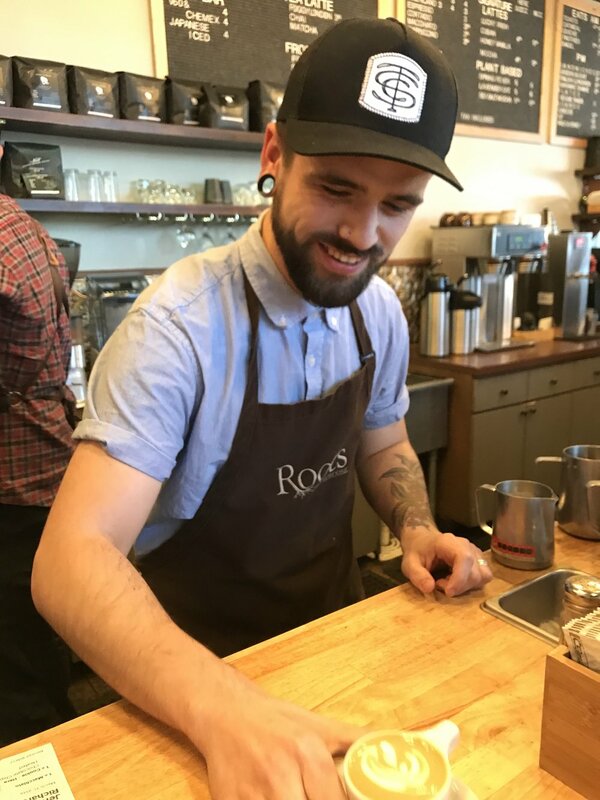 You don’t have to hang around Roots long to recognize that there’s something different about this place: as one of our baristas, Ray, sings in a variation of the Cheers song, it’s a place where Meagan, barista and soon to be manager, (and everyone else!) knows your name. Roots is built on an ethos of hospitality, excellence, and community, and it shows—at the Ten Year Anniversary celebration, the café was close to maximum capacity, filled to the brim with current and former baristas, customers that say that Roots feels like a second home, and with couples that say that it all started with that first cup of coffee. Walking in the door, the sound of laughter greets you, along with a photo booth by Hello Booth (https://hellobooth.co/roots-turns-ten/5ca13441a8c41) to document memories. Musician Andrew Sullivan and DJ Devi, who both found their start at Roots Coffeehouse, came back to celebrate and play a set. Andrew speaks warmly of the friendly, unpretentious atmosphere of Roots, and Devi recalls the journey of finding her sound and expressed joy in the opportunity to get back to her “Roots”. There were throwback drinks including the Red Symphony and the Cafe Dolce, as well as delicious cupcakes crafted by current NRH Roots manager (and future Fort Worth location manager! ), Alissa, with inspiration from our signature lattes. The sound of former, renowned baristas calling out drinks reverberates through the air alongside the unmistakable sound of milk being steamed. An interactive art wall formed from those who participated in the #shareyourrootsstory tag greets you as you make your way past the bar, a tribute to all the relationships that have been formed, all the memories that have been made. 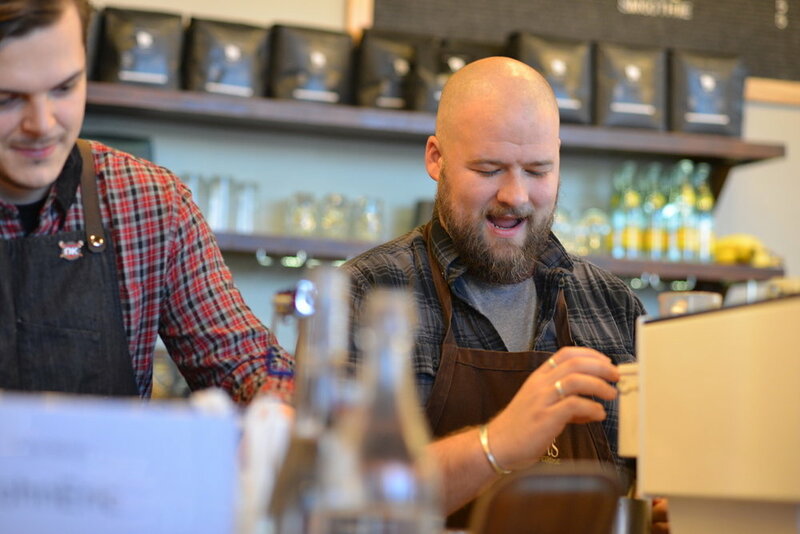 Continuing through the sea of people to the back of the café, you find Kevin, former Roots barista and current Novel coffee roasting connoisseur, holding a coffee cupping in true, craft coffee fashion. Novel has been our house roaster since their inception six years ago, and their precision and quality is evident every time the latest bag of beans is opened: the aroma indicative of location and elevation wafts through the air. It’s near sunset, and cups of champagne are passed around: a toast with owners, staff, and customers sharing favorite Roots memories. 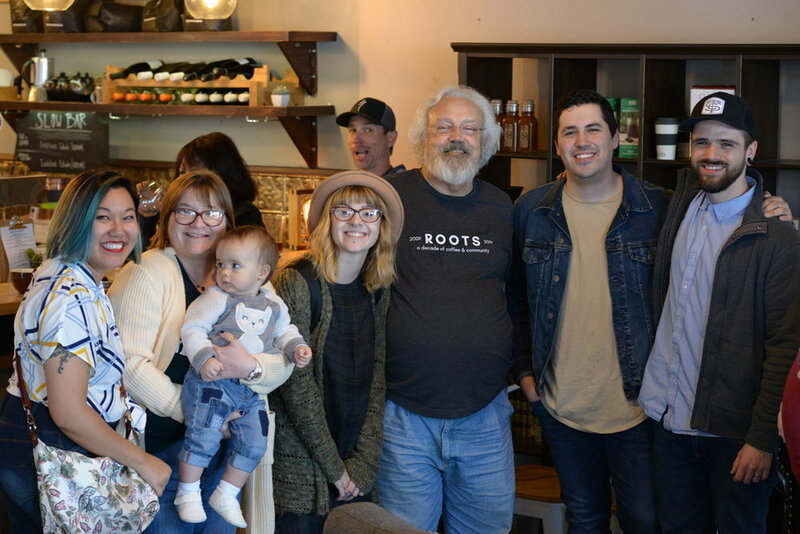 It’s a sweet celebration both of what has been and what’s to come: the ten-year anniversary of Roots in North Richland Hills is just the beginning for Janice and Matt Townsend, as a second location in the Near Southside of Fort Worth is set to open later this year. It’s incredible to see all that has sprung up from the “roots” in the last ten years, and it wouldn’t be possible without the love and support from the community of customers that share our passion for buying local, in quality over quantity, and have chosen to make Roots Coffeehouse a part of their lives and daily routine. Thank you for the last ten years, and here’s to the next ten! Older PostPlants are the new Dairy: introducing three new plant-based signature drinks for Spring! 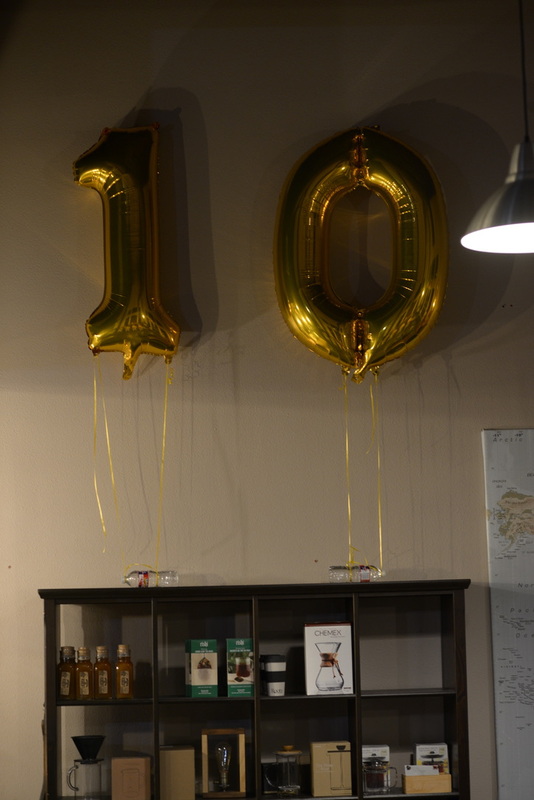 A recap of our evening celebrating the first decade of Roots Coffeehouse. Written by Emily Livingston. Plants are the new Dairy: introducing three new plant-based signature drinks for Spring! Gluten Free and Vegan Offerings Expanding in 2019! Check out our current gluten free and vegan offerings! Fall Drinks & Brand New Eats Menu Debut Today! Let Roots Cater Your Next Event! Summer Signature Drinks Are Here! Buy Local is THIS Saturday!